We hear the phrase “Predictive Analytics” thrown around a lot these days, but what does it really mean? 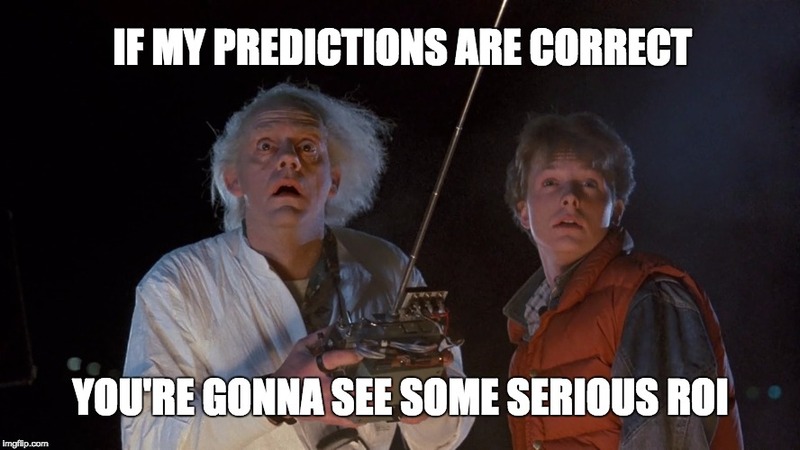 At its core, predictive analytics is the ability to identify future opportunities based on characteristics and relationships of existing data points.From a marketing standpoint, it provides actionable recommendations to the most important question sophisticated marketers are asking: What should I do next? Today’s marketers operate in a space that is more diverse, demanding, and competitive than ever before. In addition to owning the creative assets of a brand and now being charged with revenue responsibility, they are also tasked with understanding a seemingly infinite technological landscape. From social channels and content marketing to websites and other forms of digital media, it can be difficult to power through all the noise and optimize a digital strategy. Traditionally, marketers have made decisions on future campaigns and programs based on past performance. We compare this approach to looking into a rearview mirror. While some observations may help indicate the next move to make, it is largely a trial-and-error basis for making decisions. With a true predictive technology platform, marketers can expand their vision to see not just where they have been, but also where they should direct their team's time and focus to maximize revenue. This method provides a clear and cumulative view of what the strategy and next steps should look like. As a result, marketers will be able to streamline their strategic approach more efficiently and more effectively. Specifics? Here are just a handful of ways that predictive technology is helping marketers jump ahead. Predictive technology can show marketers the fastest, most cost-effective way to acquire new customers. True predictive technology platforms, specifically, can show marketers how competitors are most effectively acquiring new customers and if they should go that route, or try a better method. With hyper-segmented data, and a knowledge of who the most valuable customers are, marketers can personalize messaging and create content that directly targets those leads. How do marketers decide how much money to allocate among different marketing channels? Most generally use the previous year's budget to forecast spend for the next year -- an equation that's outdated, at best. Predictive technology conveys exactly how budget should be divided to get the best ROI possible. Increase conversions by nurturing the right leads into sales. Predictive technology can help merge marketing and sales teams into one cohesive unit.